Our basic row fertilizers are available for mounting in the front or at the back of the rear wheels. 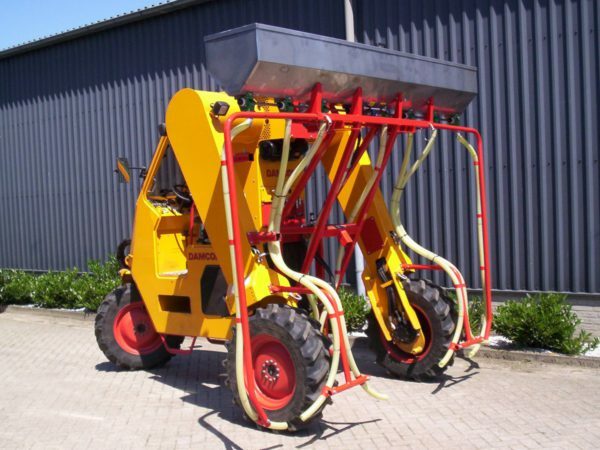 These row fertilizers are able to process three rows with only two attachments while both sides of the fertilizers are provided with a hose. The capacity of our basic row fertilizer is 200 liters. 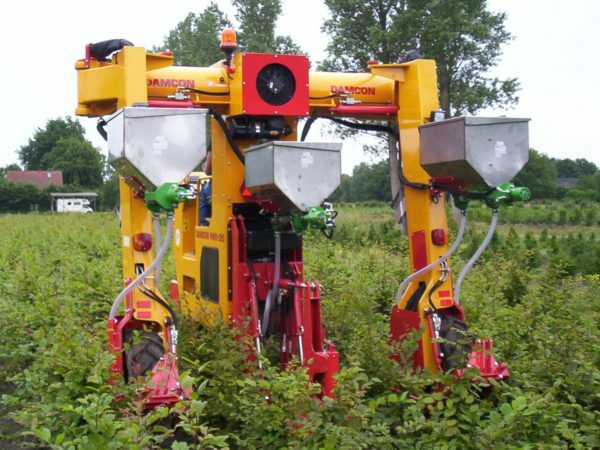 The machines are provided with 2 wheels, those wheels are operating the output of fertilizer while turning around. 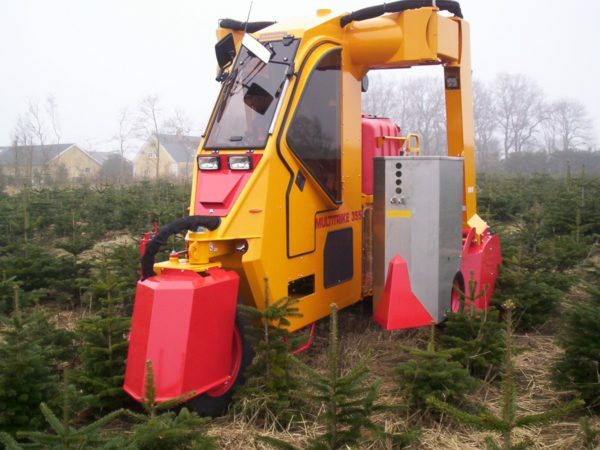 A number of three fertilizers is mounted to the rear-side of the high clearance tractor. The fertilizers are mounted on a beforehand chosen height, mostly the height of the crops are the most important reason for this (to prevent the plants against being damaged). Those attachments are preferably mounted in the available three point linkages. This single row fertilizer is mounted at the top of the high clearance tractor, so it is always working higher than the max. bottom clearance of the machine. So this fertilizer almost never touches the plants/crops. Basically this fertilizer has a capacity of 450 liters and is provided with 6 hoses to make it able to process 3 rows at once.